Bring on the autumn! There’s not much better to lift your spirits than jumping through a big pile of crunchy leaves with your kids. 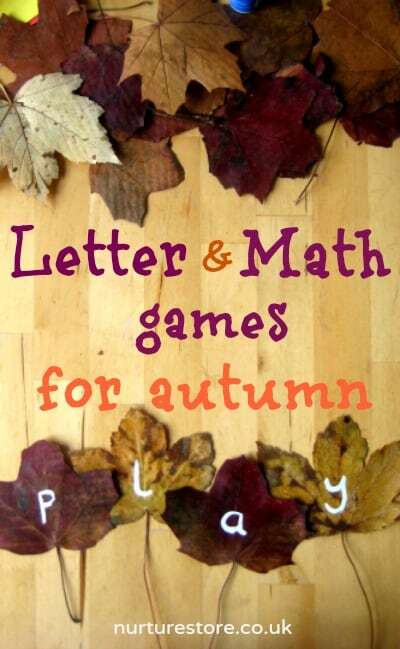 While you’re out and about enjoying the new season, collect up some leaves and bring them home to play these seasonal letter and maths games. 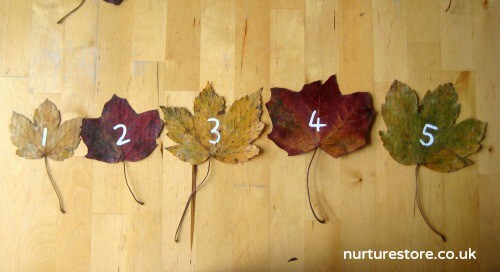 You can transform a pile of autumn leaves in to learning resources by painting on some numbers and letters. We used correction fluid but a permanent marker or acrylic paint could do the job just as well. You could laminate the leaves or cover them in contact paper/sticky backed plastic to help them last a little longer as you play. 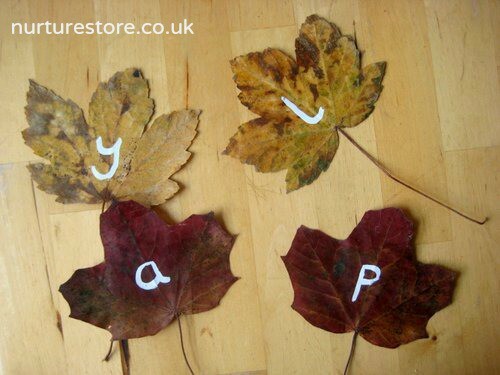 Make a set of leaves with letters (perhaps on the reverse side to your numbers) and you can play some letter games too. 1. 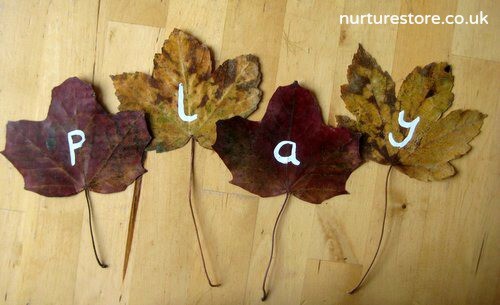 Lay out the leaves in a jumble and see which letters you recognise. 2. Find the letters in your own name. 3. Layout the letters from a word your child knows, or a spelling they’re trying to learn, and see if they can unscramble them. 4. Add some of the leaves to a sensory tub and hunt out all the letters. 5. 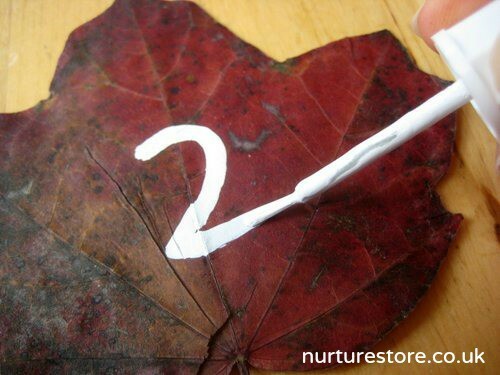 Hide the leaves around the house or garden and go on a letter treasure trail. Can you find the whole alphabet? 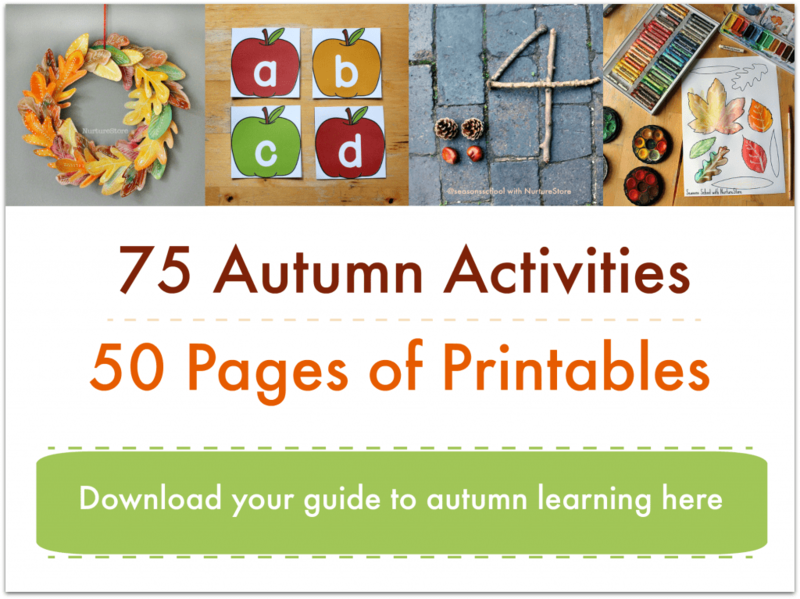 What beautiful leaves and activities! I love your uses for leaves. My favorite ideas are the alphabet treasure trail and the leaf art. We just collected a whole pile of leaves yesterday, so we’ll be doing a lot with leaves in the future. Awesome idea, Cathy! 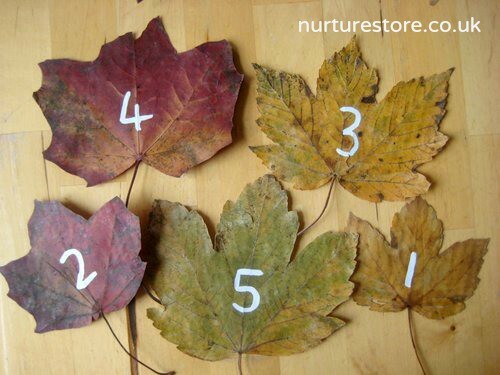 The hooligans LOVE collecting fall leaves, so we’ll definitely do this with the once our leaves start falling! Thanks for linking up at the Outdoor Play Party!